Gaurav Bhiduri becomes the second Indian boxer to win a medal in his debut world championship. 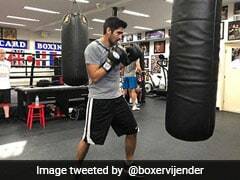 Wildcard entrant Gaurav Bidhuri on Tuesday became only the fourth Indian boxer ever to secure himself a medal in the World Boxing Championships after he defeated Tunisia's Bilel Mhamdi to enter the semifinals of the mega-event being held in Hamburg. 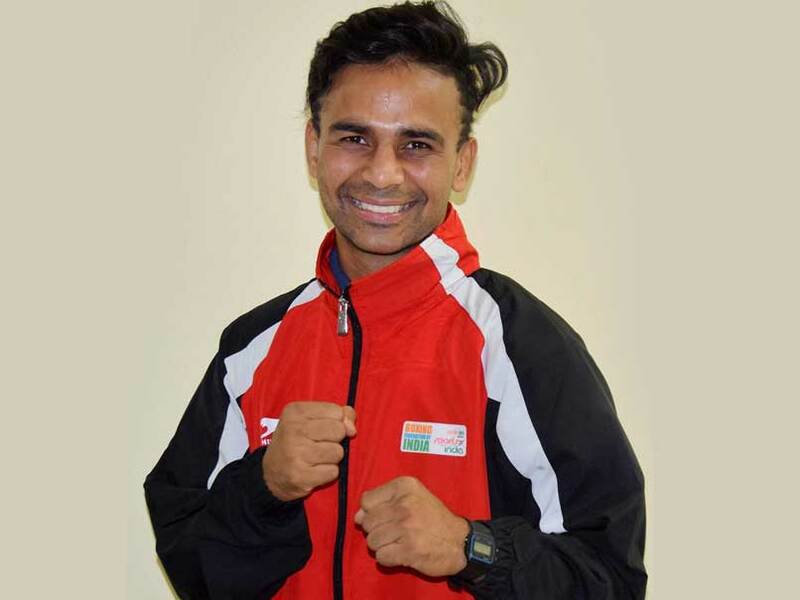 Gaurav prevailed in a split decision in the bantamweight (56kg) quarterfinal contest to make the last-four stage, becoming the second boxer from the country to do so in his debut world championship. The only other Indian to have achieved the feat was Vikas Krishan, in the 2011 edition. "It is so so surreal. I was a wildcard entry and now I am a medallist. Everything has happened so quickly for me, my brain will take some time to process all this," Gaurav told PTI after his triumph. Besides Vikas, Vijender Singh (2009) and Shiva Thapa (2015) have been the country's only other medallists at the marquee event of the sport. But they have all settled for bronze medals and it remains to be seen if Gaurav can better them on that front. "I am going to create bigger history now by winning a better medal than bronze. I have been dealing with a back problem for the last eight months, (but) somehow kept going and finally I have been rewarded, it is just so overwhelming right now," said the boxer, who will face American Duke Ragan in the semifinals after Wednesday's rest day. But there was some disappointment as well for the Indian contingent when Amit Phangal (49kg), another impressive debutant in the event, bowed out in the quarterfinal stage. The Asian Championships bronze-medallist went down to Olympic champion and second seed Hasanboy Dusmatov of Uzbekistan in an unanimous verdict, ending what has been a fine campaign for the 21-year-old. Gaurav, who has been battling a back niggle for the last eight months, took the ring next for India and was on the offensive from the word go. He had his opponent on the ropes on more than one occasion with his combination punches and also left him with a cut on his forehead in the opening round. It went from bad to worse for Mhamdi after he ended up getting a warning for failing to keep his head up in the second round.